Comes in a 9 block container of 40mg that looks like a small bar of chocolate sealed inside foil wrapping. 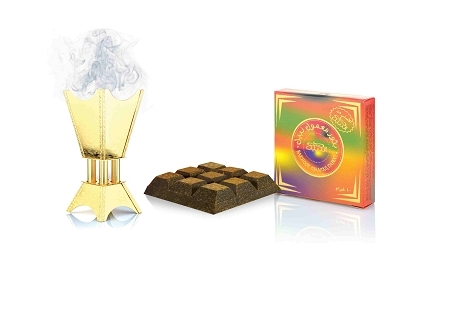 A beautiful smelling popular bakhoor, gentle to burn and slow to release the Oudh Nasaem bakhoor fragrance. Place the piece of coal in incense burner. 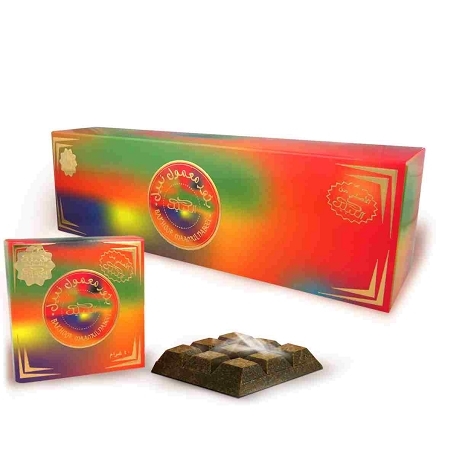 Sprinkle small amount of Bakhoor Nasaem' Incense. You may also sprinkle the incense directly on an electric burner. This is a very nice bakhoor although not my favorite. Ideal for someone who doesn't like heavy scents. My family loves touch me and mulham so this was a little too light for our taste. Smells a lot of fresh cut pears.